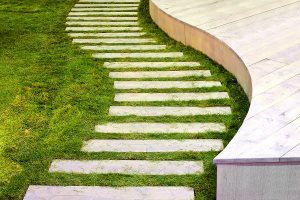 Career Paths Aren’t Always Straight and Narrow, and that’s Okay! Many job counselors and coaches present the ideal career path as one that leads from A to B to C; you’re an intern, then an assistant, then a specialist, then a manager, etc. However, especially during the first few years of your career, you should be less concerned with crafting a step-by-step resume and more on being exposed to a variety of industries and experiences. Doing so can lead to an eclectic skill set that makes you valuable in a variety of fields and also allows you to figure out exactly what you want to do. So if you are feeling apprehensive about doing a little experimentation with your career path, here are several reasons why doing so can lead to your perfect job fit. 1. While career experimentation follows a more “jack of all trades, master of none” philosophical approach, what you won’t gain in deep experience in individual feels is replaced by the ability to understand multiple perspectives. Think about it. It can be extremely beneficial to be able to call on past skills from a variety of jobs should the need arise for particular experience. Through experiencing multiple perspectives, you gain the ability to relate to people from a diverse range of backgrounds, helping you build relationships with a wider array of clients and partners. Your assorted experiences also boost your abilities as a manager as you are likely to oversee a set of employees with a host of functions. And while you probably will not be an expert in any or all of the areas represented by your team, the basic knowledge you’ve gained will help you be a more effective manager able to more efficiently delegate work to the proper workers. 2. A huge benefit to having such a wide range of occupational experience is that you gain the knowledge you need to discard career paths that don’t suit you. This decision can often be reached after an internship, without even having to spend substantial time working in the field. This is especially true if you use the time to meet with people spanning the breadth of roles that are represented within the field. 3. Regardless of industry or role, you inevitably learn skills that are common and necessary across a range of careers. Such skills include communication, managing people, and building client relationships, just to name a few. As you look for new experiences, pay attention for the signs that a job will help you build such transferable skills. 4. Once you build up enough experience, you will begin to recognize general patterns by which organizations operate and be able to begin comparing industries in a way that allows you to start finding your preferences. Once you start pinpointing these preferences you can start noticing those companies and industries that play to them. When you’ve collected these experiences and decide it is time to settle down to a strict career path, you must then determine which experiences and aspects of your past work are most relevant to the new job you are after. Stick to relying on a few core functions in your resume construction and use them to showcase your skills on paper and in person. While you may find that your skills don’t match up perfectly for the job you want, don’t focus on your weaknesses and let your diverse experiences speak to your flexibility and adaptability. As you can see, having a non-linear career path is not a bad thing and gives you opportunities to experiment and learn; things that you would never have encountered otherwise. Just remember to always bring your past lessons with you on new endeavors and keep learning and growing your value as a unique and eclectic worker.